Come enjoy a music filled afternoon at the Vineyard at Hershey! 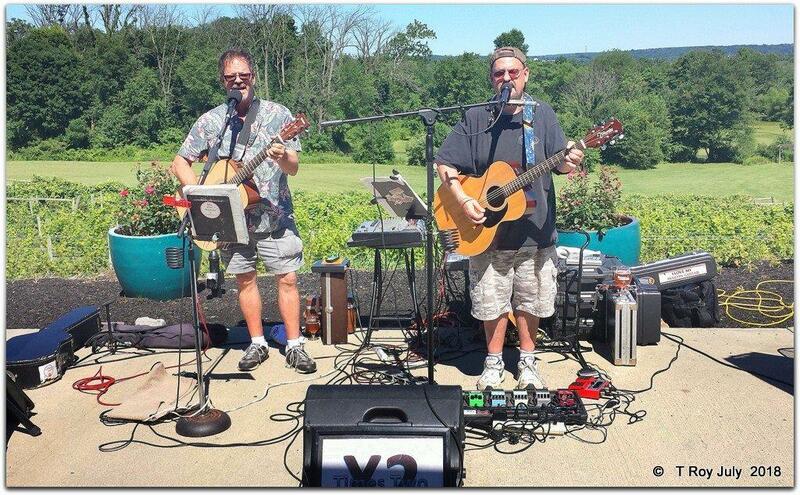 The X2 duo will be here playing your favorite classic rock covers! Enjoy the day, the music with a glass of our handcrafted wine, beer, and cider at the bar! Or head into our farmhouse for a wine tasting! The music is a family friendly free event. Pets are permitted on our outdoor patio and farm. You can bring your own food or picnic and non alcoholic beverages, but please no outside alcohol on the premisis.